Worcester, Massachusetts (March 26, 2018)—Bartholomew & Company has been recognized as a 2018 Best Places to Work for Financial Advisers as announced by InvestmentNews today. Bartholomew & Company was chosen as one of this year’s top-50 based on employer and employee surveys delving into everything from company culture, benefits, career paths and more. 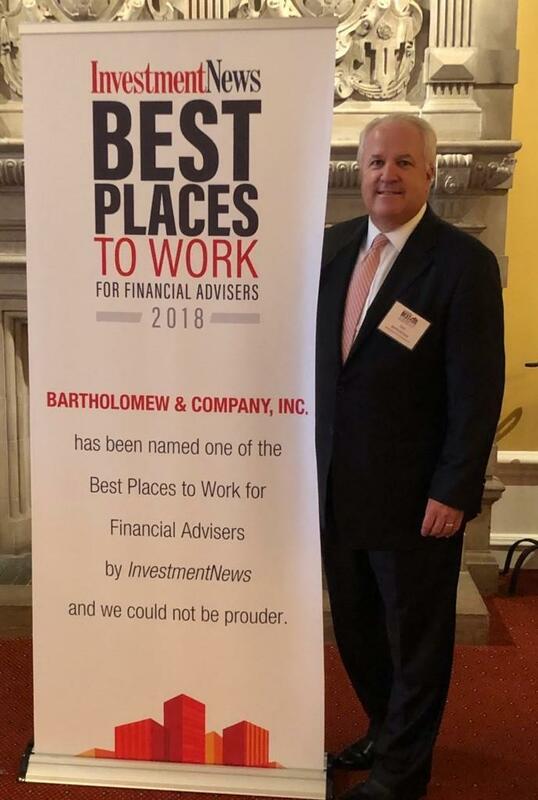 Bartholomew & Company will be recognized on May 15th at the first annual Best Places to Work for Financial Advisers Awards Luncheon in Chicago at the University Club. To learn more about the InvestmentNews 2018 50 Best Places to Work for Financial Advisers, please go to www.investmentnews.com/BestPlacestoWork.